With this unique Magic Set, new magicians will improve both their confidence and skills as they amaze family and friends. This one-of-a-kind Magic Set includes five astonishing Ring Tricks, such as Wizard's Wonder, Mystery Cube, Dragon's Den, and more! 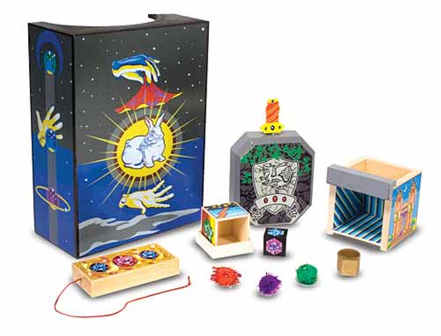 Each set measures 3.8" x 9.8" x 7" and is perfect for magicians ages 6 and up. Cyber Monday Special: $15.60 - Save 20%!